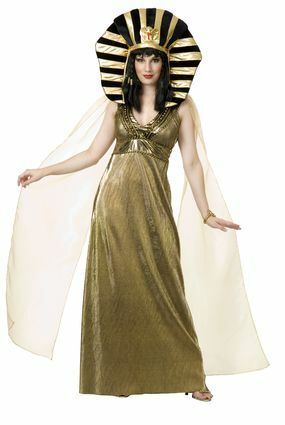 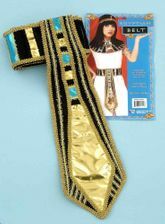 Rule Egypt and Marc Antony's heart in this gorgeous gold Cleopatra costume, fit for a queen! 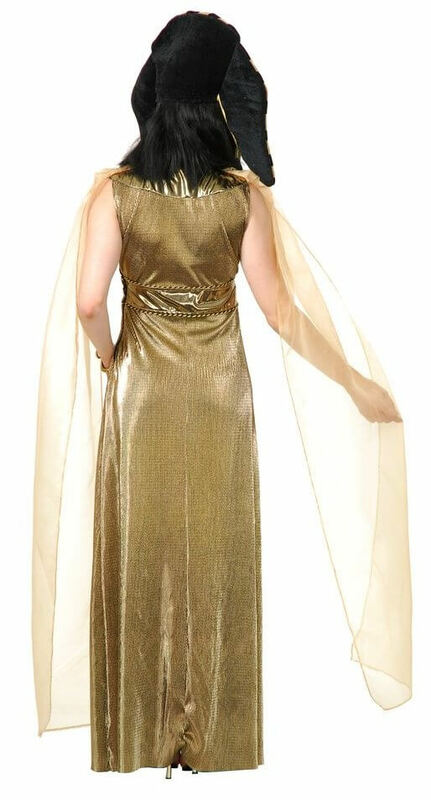 Adult costume includes gold pleated lame dress with detailed bustline and organza shoulder drapes. 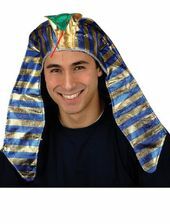 Wig and headdress sold separately. 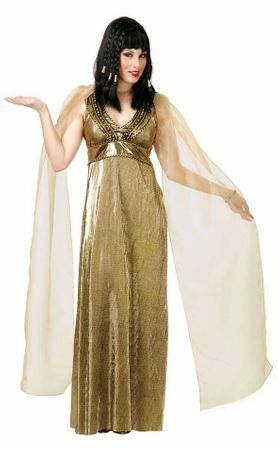 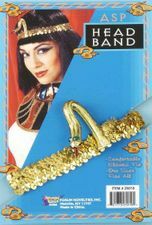 See more options in our Egyptian, Greek and Roman Costumes section!